Roll out the pastry and cut into 8 cm squares. Press pastry squares into muffin pan. Brush the pastry with butter. Dock the bottom with a fork. 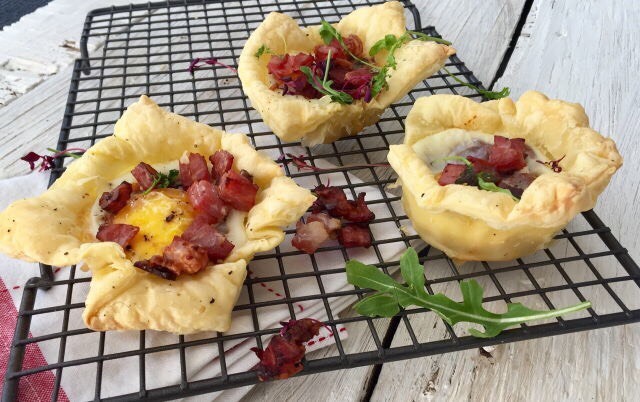 Break an egg into each pastry case. Season. Mix the tomatoes and mushrooms together. Add ontop of the egg. Bake for 15 minutes at 190 degrees Celsius.